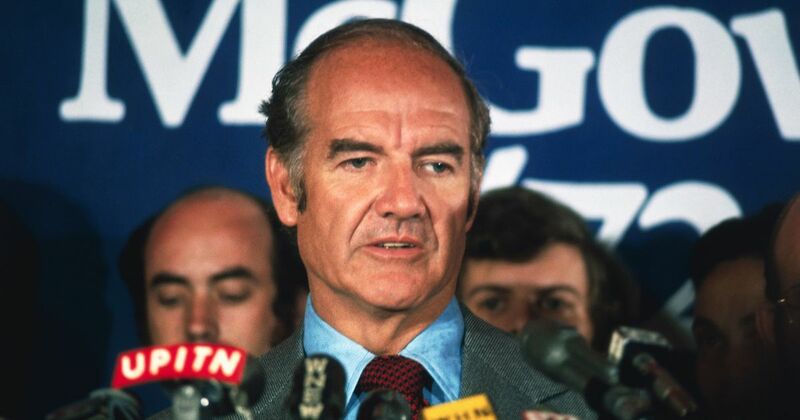 George McGovern Proposed a Universal Basic Income. It Didn’t Go Well for Him. MADISON, Wis. (AP) — A judge has issued a temporary injunction blocking Wisconsin Republicans’ contentious lame-duck laws limiting the powers of Gov. Tony Evers and Attorney General Josh Kaul, both Democrats. His response: a death stare... before walking off without saying a word. Many violent extremist groups, like ISIS, use common footage and imagery. These can also be signals for our detection systems that help us to remove content at scale. For political observers of a certain vintage, long-shot presidential candidate Andrew Yang’s proposal to give every American adult $1,000 a month brought back a distinct memory from 1972. That year Democratic presidential nominee George McGovern also proposed writing a $1,000 check to every American — $1,000 a year, however (there’s been a lot of inflation since then). To put it mildly, it did not go over well. Even though McGovern eventually abandoned the proposal, and even though it was similar to the “negative income tax” idea crafted by famed free-market economist Milton Friedman and briefly considered by Richard Nixon, the plan became a potent symbol of the Democrat’s alleged radicalism, fiscal irresponsibility, and wooly thinking. Even before Republicans began mocking him over it, primary rival Hubert Humphrey — hardly a conservative on domestic issues — blasted the proposal with both barrels, claiming it would lead to a massive middle-class tax increase while undermining incentives to work. It probably caused McGovern more grief than anything else he had control over in that campaign, which ended with him losing 49 states to Nixon. Republicans mocked McGovern’s universal basic income proposal unmercifully. The idea of an income floor has become less radical-sounding over the years. The refundable earned-income tax credit, another Republican idea that was promoted most aggressively by Bill Clinton, is basically a negative income tax, albeit one that is means-tested and comes with an implicit work requirement. And in the policy world, a full-fledged universal basic income is discussed regularly as a feasible strategy for addressing poverty.